The Stoney Path’s memorial headstone has become a favorite of families wishing to honor their loved ones with an affordable grave marker. 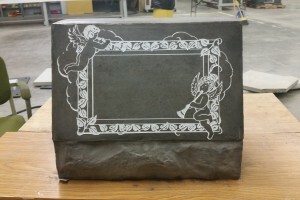 Our headstones are poured with a concrete mix design and added chemicals to provide long lasting beauty that will not fade or degrade like the old concrete headstones found in cemeteries today. Our headstones are poured by our concrete technicians, cured for 28 days, hand polished using a five step polishing process, stained and finally sealed with a densifier that “locks in” the surface polish and color of the headstone. 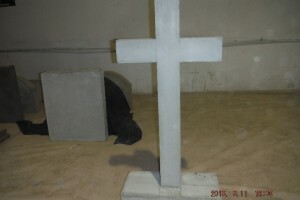 We provide a variety of sizes from small to medium slants, uprights, grave markers and crosses that are beautiful to see at a cost of 1/3 to ¼ of granite or marble. These are truly “affordable” headstones. 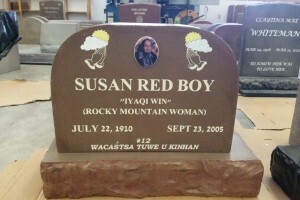 Stoney Paths provides for finishing services for the headstones to your specifications that can include both normal information but also any custom design using our computerized vinyl cutting technology, sandblasted engraving and custom letter finishing. Engraving is available in a wide variety of fonts and styles, pictures, borders and more. Porcelain photos can be ordered and installed to add that personal touch. 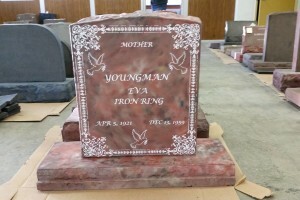 Visit our photo gallery to see some examples of the professional headstone quality that we provide. 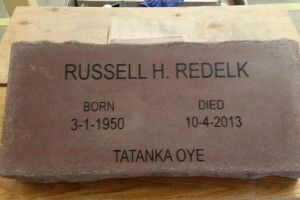 Headstones can be ordered in person or by submitting a request for information from our webpage. 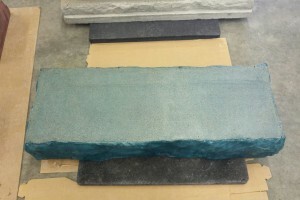 Headstones can be shipped to any location in the US and come with complete installation instructions. 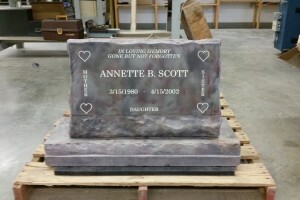 Shipping costs are not included in the basic headstone pricing.